NEW IN STOCK. 'MYTHOS BLACK- METALLIC'. HPI CLEAR. DATE OF REGISTRATION: 03/01/2015. ONLY two registered keepers from new; same owner since August 2015. 2 Keys. Serviced by AUDI Main Dealer at: 14779 miles, 24888 miles, 43540 miles and 62626 miles. 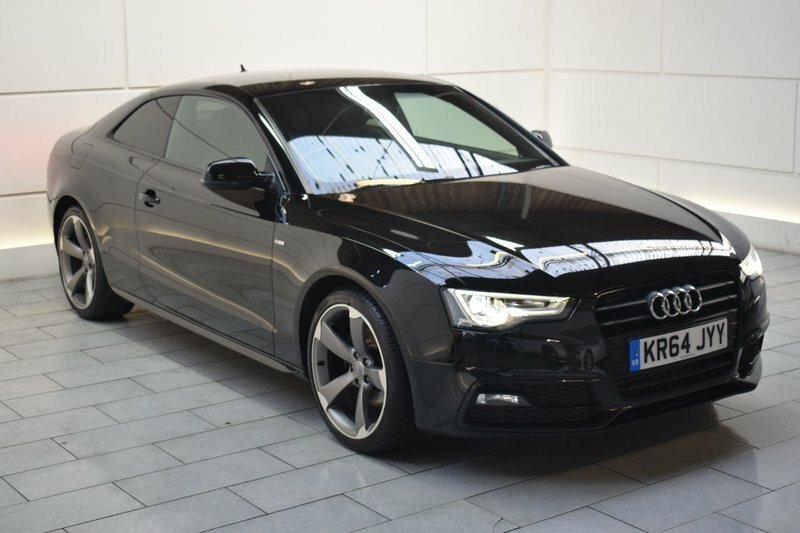 Highly desirable options when ordered new include: Full Leather Interior, Satellite Navigation, Bang & Olufsen Sound, DAB Radio, Heated Front Seats, Bluetooth Telephone Connectivity, Option Paint- Mythos Black, 3-spoke multi-function flat-bottomed steering wheel and Privacy Glass. Vehicle list price when ordered new inclusive of options: £33855. AA Approved Dealer. 12 month AA Breakdown Assistance included. Finance available. Part Exchange Welcome. Visit our website: www.rdmdirect.co.uk to view our latest diversified stock listings.